I had to make three drawers that were missing. All the surfaces have been hand planed. Later all new wood will be colored to match the desk. I had one original drawer to copy. I used a 14 degree dovetail that has as 3/16″ neck on the pins . The drawer sides are walnut with popular back and bottoms. 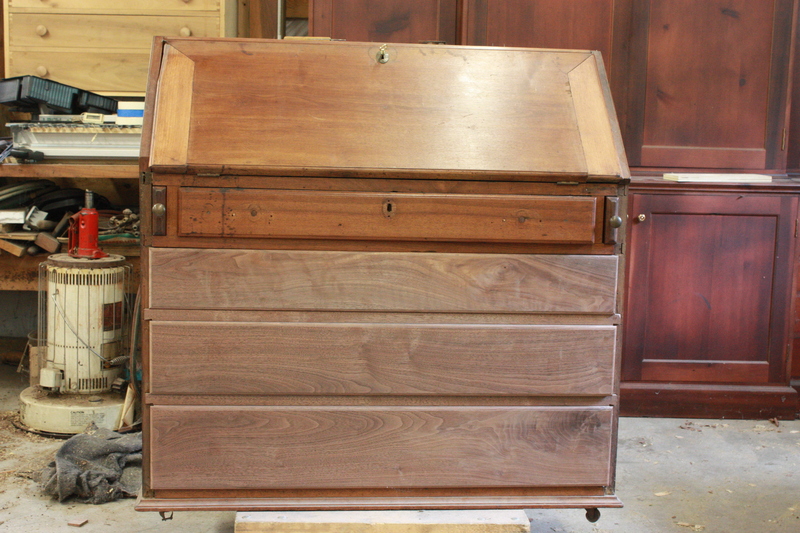 What is unusual is the top edge of the drawers sides and backs are rounded over. I did this with a molding plane. 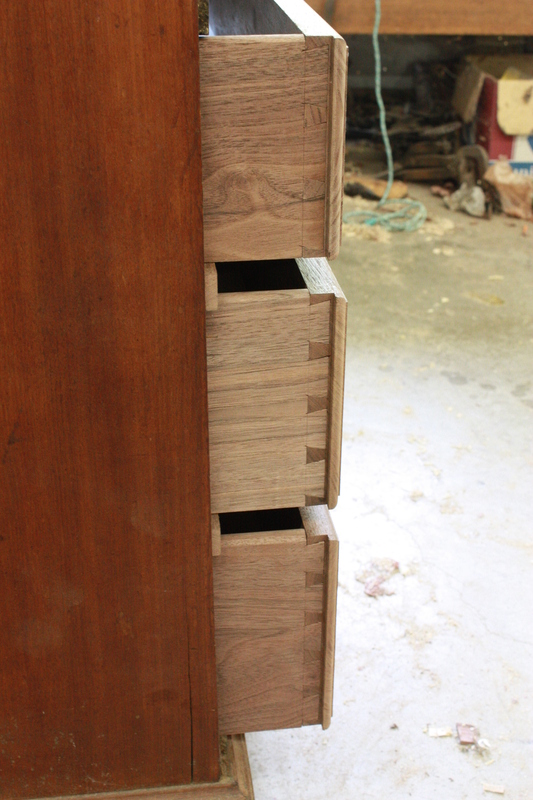 Drawer bottoms were fielded with a hand plane to fit the groove in the sides and fronts. This entry was posted on August 1, 2011 by furniturewithhistory. It was filed under slant-front desk and was tagged with half blind dovetails, molding plane, popular, round over, walnut.